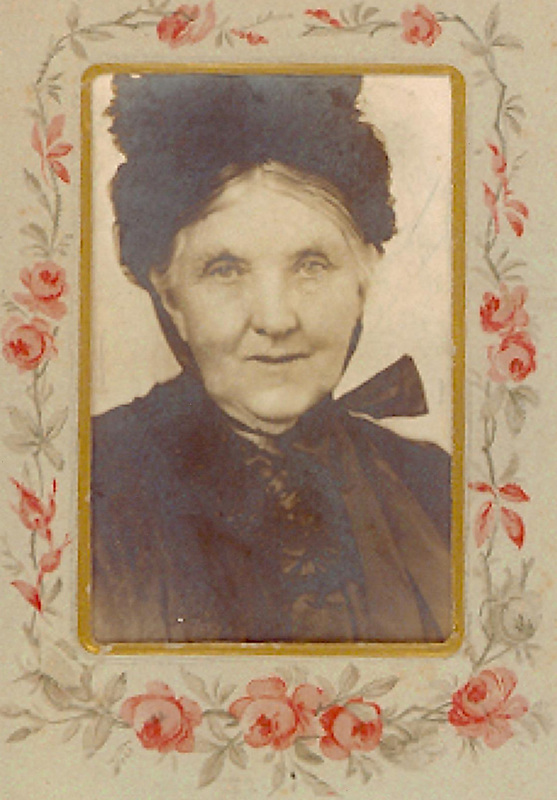 This entry was posted in 52 Weeks of Abundant Genealogy, Broadford, Darling Downs, Dorfprozelten research, Family History, Irish family history, Kunkel Family History, Murphy's Creek, O'Brien family, Queensland, Widdup and tagged Ballykelly, Bridget O'Brien, Bridget Widdup, Broadford, Co Clare, Dorfprozelten, Garvey, George Kunkel, Kilseily, Mary O'Brien, Murphy's Creek, Urana, Widdup by cassmob. Bookmark the permalink. What a wonderful story, and what fortune to have met with Anne Kunkel. I do hope you come across those photographs one day.. I love the one you featured. Mary O’Brien has such a soft and caring manner about her. Thank you for sharing. Thanks Chris. I was indeed fortunate. Her photo is both caring and strong. The graphic designer used this image on the cover of my book and her strength of character, and George’s, really shines through. What a wonderful post Pauleen. How fortunate you were to find Anne and hear her talk about Mary. Personal stories are gold to a family historian aren’t they. Are you still hopeful of finding more photos out there somewhere – you never know! Thanks Tanya. What I’d really love are some letters (greedy aren’t it?). However I’m told the inheritor’s house in Ireland had a fire and Anne’s family burnt a lot of family stuff before they moved out of the original home. (I could cry!). Not even the Sydney rellies have any. Still I’ve been so fortunate I shouldn’t want more. cass, I think that your story today was amazing and I think that the ancestors are looking after you by giving you contacts to relatives who may assist because you are so generous with your time and the very fact you found Mary is a godsend. All the best and good luck with all your research. I love reading it and has inspired me to look further for my County Clare ancestors. Thanks Carol. Good hunting with those Clare ancestors. Don’t forget to check out the Clare Library website. Pauleen, I have never been a fan of the series prompts — However, stories such as your Mary O’Brien are making me rethink my prejudice. You easily take a rather generic prompt and turn it into a human interest story and a story of discovery, as well a road map for those who would do the same. Kudos for your skill and generosity of spirit. Thanks for your very kind comments Joan. I always worry that the story is too long but I wanted it to BE a story. I enjoyed last year’s 52 weeks prompts as a way of rekindling my own memories but having done all 52 I didn’t think I’d do this year’s. So far so good. It is really cool how you not only were able to locate information about Mary, but also had the opportunity to meet some relatives. Yes it’s been one of the big successes of this family story. We’ve since had two family reunions -none of us had any idea before the family history adventure how many of us there were. Thanks Sheryl. Thanks Angela. Yes, I wish I could have met her. It’s a shame because my grandfather, as the oldest grandchild, would have known her well. I didn’t know that though because he wasn’t much of a talker. An apt name for your book! What a wonderful story and it’s amazing how something so simple, that mass mailing of a letter, turned up big rewards. Thanks Mavis. Yes a lot of generosity out there which really made the stories come to life. Fantastic! How wonderful that you were able to meet with Anne and obtain so much information. Also it is great that you were able to got to Ireland and visit. Maybe I should get your help with my Irish ancestors – all brickwalls! I was so lucky that my massed letter drop wound up with Anne – she really was the key to linking the families and finding my way back to Mary’s family. Without her I’d still be at a loss. Don’t worry -I too suffer from Irish brick walls with my other families which may never be broken down. With some the doors have opened a little (see recent Gavin stories), but the McSherry/Sherry crowd are defeating me entirely. Happy to chat sometime if brainstorming together would help.